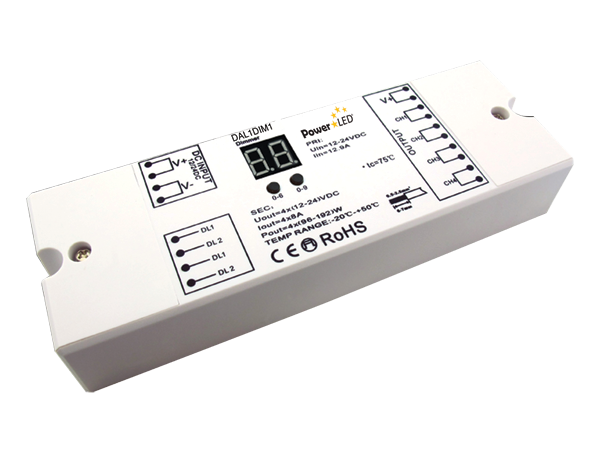 DALI Dimmer Series from PowerLED includes 3 models. 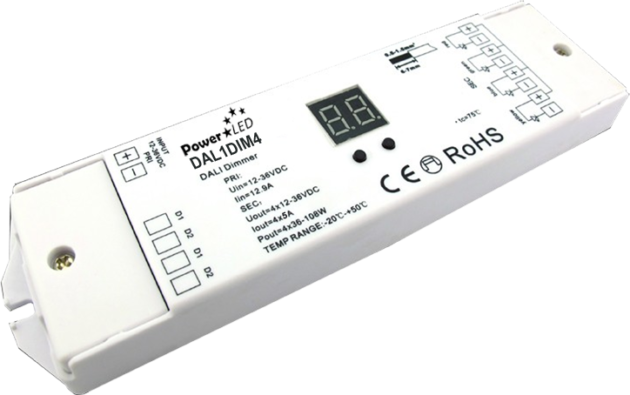 DAL1DIM1 with 1 DALI address; DAL1DIM4 with 4 DALI addresses & DAL1DIP1P with 1 DALI address and push dimmer function. DALI controllers are compatible with all DALI system from OSRAM, TRIDONIC, HELVAR etc. 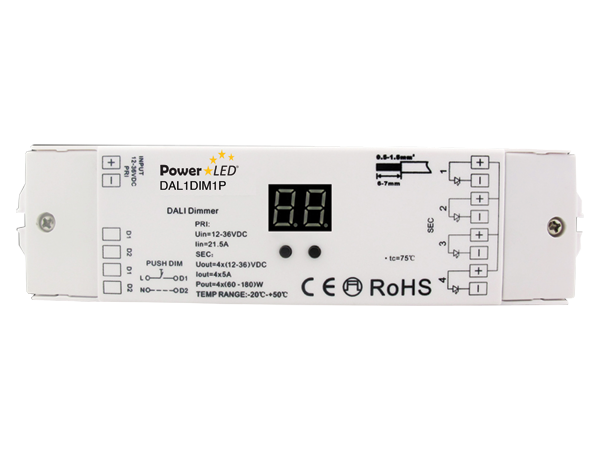 The PowerLED range of DALI Dimmers includes units that offer 1 DALI address, 4 DALI address options as well as a unit with push dimmer functionality. The products incorporate a screen to display the Dali address, which can either be set manually or automatically when using a Dali master. The DALI controllers are compatible with DALI systems from OSRAM, TRIDONIC, HELVAR etc.